Big Data has changed the way we manage, analyze and leverage data in any industry. One of the most promising areas where it can be applied to make a change is healthcare. Healthcare analytics have the potential to reduce costs of treatment, predict outbreaks of epidemics, avoid preventable diseases and improve the quality of life in general. Average human lifespan is increasing along world population, which poses new challenges to today’s treatment delivery methods. Health professionals, just like business entrepreneurs, are capable of collecting massive amounts of data and look for best strategies to use these numbers. In this article, we would like to address the need of big data in healthcare: why and how can it help? What are the obstacles to its adoption? We will then provide you with 12 big data examples in healthcare that already exist and that we benefit from. Get our guide with 5 questions you can use to increase profits! The application of big data analytics in healthcare has a lot of positive and also life-saving outcomes. Big data refers to the vast quantities of information created by the digitization of everything, that gets consolidated and analyzed by specific technologies. Applied to healthcare, it will use specific health data of a population (or of a particular individual) and potentially help to prevent epidemics, cure disease, cut down costs, etc. Now that we live longer, treatment models have changed and many of these changes are namely driven by data. 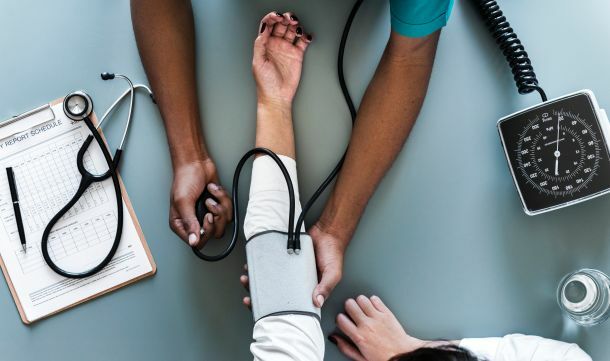 Doctors want to understand as much as they can about a patient and as early in their life as possible, to pick up warning signs of serious illness as they arise – treating any disease at an early stage is far more simple and less expensive. With healthcare data analytics, prevention is better than cure and managing to draw a comprehensive picture of a patient will let insurances provide a tailored package. This is the industry’s attempt to tackle the siloes problems a patient’s data has: everywhere are collected bits and bites of it and archived in hospitals, clinics, surgeries, etc., with the impossibility to communicate properly. Indeed, for years gathering huge amounts of data for medical use has been costly and time-consuming. With today’s always-improving technologies, it becomes easier not only to collect such data but also to convert it into relevant critical insights, that can then be used to provide better care. This is the purpose of healthcare data analytics: using data-driven findings to predict and solve a problem before it is too late, but also assess methods and treatments faster, keep better track of inventory, involve patients more in their own health and empower them with the tools to do so. As the authors of the popular Freakonomics books have argued, financial incentives matter – and incentives that prioritize patients health over treating large amounts of patients are a good thing. Why does this matter? Well, in the previous scheme, healthcare providers had no direct incentive to share patient information with one another, which had made it harder to utilize the power of analytics. Now that more of them are getting paid based on patient outcomes, they have a financial incentive to share data that can be used to improve the lives of patients while cutting costs for insurance companies. Finally, physician decisions are becoming more and more evidence-based, meaning that they rely on large swathes of research and clinical data as opposed to solely their schooling and professional opinion. As in many other industries, data gathering and management is getting bigger, and professionals need help in the matter. This new treatment attitude means there is a greater demand for big data analytics in healthcare facilities than ever before, and the rise of SaaS BI tools is also answering that need. One of the biggest hurdles standing in the way to use big data in medicine is how medical data is spread across many sources governed by different states, hospitals, and administrative departments. Integration of these data sources would require developing a new infrastructure where all data providers collaborate with each other. Equally important is implementing new online reporting software and business intelligence strategy. Healthcare needs to catch up with other industries that have already moved from standard regression-based methods to more future-oriented like predictive analytics, machine learning, and graph analytics. However, there are some glorious instances where it doesn’t lag behind, such as EHRs (especially in the US.) 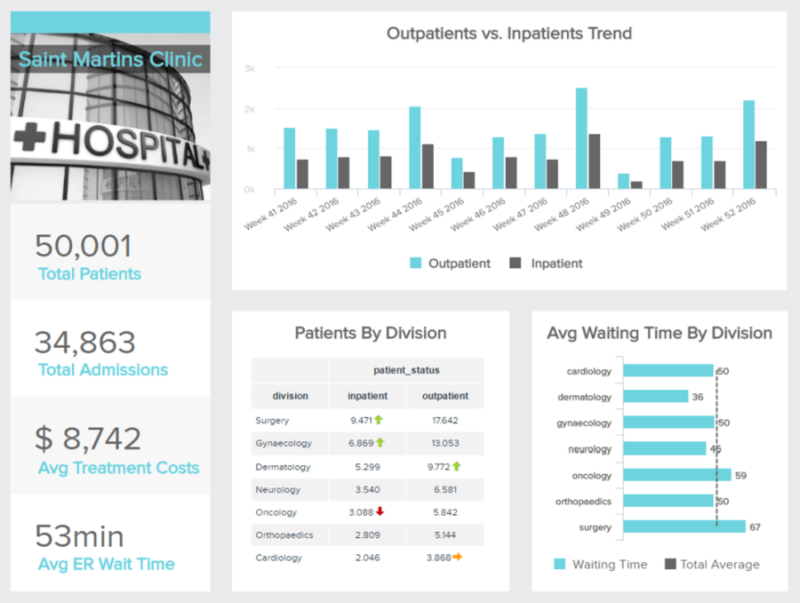 So, even if these services are not your cup of tea, you are a potential patient, and so you should care about new healthcare analytics applications. Besides, it’s good to take a look around sometimes and see how other industries cope with it. They can inspire you to adapt and adopt some good ideas. For our first example of big data in healthcare, we will look at one classic problem that any shift manager faces: how many people do I put on staff at any given time period? If you put on too many workers, you run the risk of having unnecessary labor costs add up. Too few workers, you can have poor customer service outcomes – which can be fatal for patients in that industry. Big data is helping to solve this problem, at least at a few hospitals in Paris. A Forbes article details how four hospitals which are part of the Assistance Publique-Hôpitaux de Paris have been using data from a variety of sources to come up with daily and hourly predictions of how many patients are expected to be at each hospital. One of they key data sets is 10 years’ worth of hospital admissions records, which data scientists crunched using “time series analysis” techniques. These analyses allowed the researchers to see relevant patterns in admission rates. Then, they could use machine learning to find the most accurate algorithms that predicted future admissions trends. It’s the most widespread application of big data in medicine. Every patient has his own digital record which includes demographics, medical history, allergies, laboratory test results etc. Records are shared via secure information systems and are available for providers from both public and private sector. Every record is comprised of one modifiable file, which means that doctors can implement changes over time with no paperwork and no danger of data replication. EHRs can also trigger warnings and reminders when a patient should get a new lab test or track prescriptions to see if a patient has been following doctors’ orders. Although EHR are a great idea, many countries still struggle to fully implement them. U.S. has made a major leap with 94% of hospitals adopting EHRs according to this HITECH research, but the EU still lags behind. However, an ambitious directive drafted by European Commission is supposed to change it: by 2020 centralized European health record system should become a reality. Other examples of big data analytics in healthcare share one crucial functionality – real-time alerting. In hospitals, Clinical Decision Support (CDS) software analyzes medical data on the spot, providing health practitioners with advice as they make prescriptive decisions. However, doctors want patients to stay away from hospitals to avoid costly in-house treatments. Analytics, already trending as one of the business intelligence buzzwords in 2019, has the potential to become part of a new strategy. Wearables will collect patients’ health data continuously and send this data to the cloud. Additionally, this information will be accessed to the database on the state of health of the general public, which will allow doctors to compare this data in socioeconomic context and modify the delivery strategies accordingly. Institutions and care managers will use sophisticated tools to monitor this massive data stream and react every time the results will be disturbing. For example, if a patient’s blood pressure increases alarmingly, the system will send an alert in real time to the doctor who will then take action to reach the patient and administer measures to lower the pressure. Another example is that of Asthmapolis, which has started to use inhalers with GPS-enabled trackers in order to identify asthma trends both on an individual level and looking at larger populations. This data is being used in conjunction with data from the CDC in order to develop better treatment plans for asthmatics. Many consumers – and hence, potential patients – already have an interest in smart devices that record every step they take, their heart rates, sleeping habits, etc., on a permanent basis. All this vital information can be coupled with other trackable data to identify potential health risks lurking. A chronic insomnia and an elevated heart rate can signal a risk for future heart disease for instance. Patients are directly involved in the monitoring of their own health, and incentives from health insurances can push them to lead a healthy lifestyle (e.g. : giving money back to people using smart watches). Another way to do so comes with new wearables under development, tracking specific health trends and relaying them to the cloud where physicians can monitor them. Patients suffering from asthma or blood pressure could benefit from it, and become a bit more independent and reduce unnecessary visits to the doctor. Our fourth example of big data healthcare is tackling a serious problem in the US. Here’s a sobering fact: as of this year, overdoses from misused opioids have caused more accidental deaths in the U.S. than road accidents, which were previously the most common cause of accidental death. Analytics expert Bernard Marr writes about the problem in a Forbes article. The situation has gotten so dire that Canada has declared opioid abuse to be a “national health crisis,” and President Obama earmarked $1.1 billion dollars for developing solutions to the issue while he was in office. Once again, an application of big data analytics in healthcare might be the answer everyone is looking for: data scientists at Blue Cross Blue Shield have started working with analytics experts at Fuzzy Logix to tackle the problem. 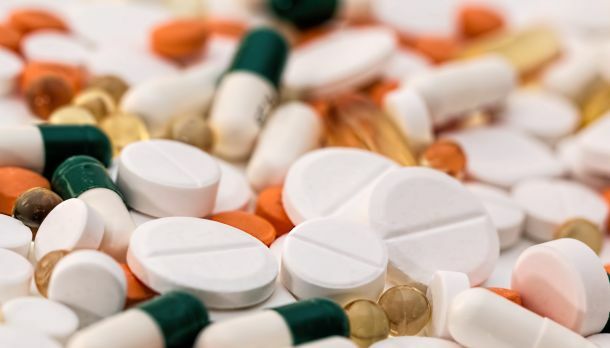 Using years of insurance and pharmacy data, Fuzzy Logix analysts have been able to identify 742 risk factors that predict with a high degree of accuracy whether someone is at risk for abusing opioids. To be fair, reaching out to people identified as “high risk” and preventing them from developing a drug issue is a delicate undertaking. However, this project still offers a lot of hope towards mitigating an issue which is destroying the lives of many people and costing the system a lot of money. The use of big data in healthcare allows for strategic planning thanks to better insights into people’s motivations. Care mangers can analyze check-up results among people in different demographic groups and identify what factors discourage people from taking up treatment. University of Florida made use of Google Maps and free public health data to prepare heat maps targeted at multiple issues, such as population growth and chronic diseases. Subsequently, academics compared this data with the availability of medical services in most heated areas. The insights gleaned from this allowed them to review their delivery strategy and add more care units to most problematic areas. Another interesting example of the use of big data in healthcare is the Cancer Moonshot program. Before the end of his second term, President Obama came up with this program that had the goal of accomplishing 10 years’ worth of progress towards curing cancer in half that time. Medical researchers can use large amounts of data on treatment plans and recovery rates of cancer patients in order to find trends and treatments that have the highest rates of success in the real world. For example, researchers can examine tumor samples in biobanks that are linked up with patient treatment records. Using this data, researchers can see things like how certain mutations and cancer proteins interact with different treatments and find trends that will lead to better patient outcomes. This data can also lead to unexpected benefits, such as finding that Desipramine, which is an anti-depressant, has the ability to help cure certain types of lung cancer. However, in order to make these kinds of insights more available, patient databases from different institutions such as hospitals, universities, and nonprofits need to be linked up. Then, for example, researchers could access patient biopsy reports from other institutions. Another potential use case would be genetically sequencing cancer tissue samples from clinical trial patients and making these data available to the wider cancer database. Incompatible data systems. This is perhaps the biggest technical challenge, as making these data sets able to interface with each other is quite a feat. Patient confidentiality issues. There are differing laws state by state which govern what patient information can be released with or without consent, and all of these would have to be navigated. Simply put, institutions which have put a lot of time and money into developing their own cancer dataset may not be eager to share with others, even though it could lead to a cure much more quickly. Hopefully, Obama’s panel will be able to navigate the many roadblocks in the way and accelerate progress towards curing cancer using the strength of data analytics. We have already recognized predictive analytics as one of the biggest business intelligence trend two years in a row, but the potential applications reach far beyond business and much further in the future. Optum Labs, an US research collaborative, has collected EHRs of over 30 million patients to create a database for predictive analytics tools that will improve the delivery of care. The goal of healthcare business intelligence is to help doctors make data-driven decisions within seconds and improve patients’ treatment. This is particularly useful in case of patients with complex medical histories, suffering from multiple conditions. New tools would also be able to predict, for example, who is at risk of diabetes, and thereby be advised to make use of additional screenings or weight management. Some studies have shown that this particular industry is 200% more likely to experience data breaches than any other industry. The reason is simple: personal data is extremely valuable and profitable on the black markets. And any breach would have dramatic consequences. With that in mind, many organizations started to use analytics to help prevent security threats by identifying changes in network traffic, or any other behavior that reflects a cyber-attack. Of course, big data has inherent security issues and many think that using it will make the organizations more vulnerable than they already are. But advances in security such as encryption technology, firewalls, anti-virus software, etc, answer that need for more security, and the benefits brought largely overtake the risks. Likewise, it can help prevent fraud and inaccurate claims in a systemic, repeatable way. Analytics help streamline the processing of insurance claims, enabling patients to get better returns on their claims and caregivers are paid faster. For instance, the Centers for Medicare and Medicaid Services said they saved over $210.7 million in frauds in just a year. Telemedicine has been present on the market for over 40 years, but only today, with the arrival of online video conferences, smartphones, wireless devices, and wearables, has it been able to come into full bloom. The term refers to delivery of remote clinical services using technology. It is used for primary consultations and initial diagnosis, remote patient monitoring, and medical education for health professionals. Some more specific uses include telesurgery – doctors can perform operations with the use of robots and high-speed real-time data delivery without physically being in the same location with a patient. Clinicians use telemedicine to provide personalized treatment plans and prevent hospitalization or re-admission. Such use of healthcare data analytics can be linked to the use of predictive analytics as seen previously. It allows clinicians to predict acute medical events in advance and prevent deterioration of patient’s conditions. By keeping patients away from hospitals, telemedicine helps to reduce costs and improve the quality of service. Patients can avoid waiting lines and doctors don’t waste time for unnecessary consultations and paperwork. Telemedicine also improves the availability of care as patients’ state can be monitored and consulted anywhere and anytime. Medical imaging is vital and each year in the US about 600 million imaging procedures are performed. Analyzing and storing manually these images is expensive both in terms of time and money, as radiologists need to examine each image individually, while hospitals need to store them for several years. Medical imaging provider Carestream explains how big data analytics for healthcare could change the way images are read: algorithms developed analyzing hundreds of thousands of images could identify specific patterns in the pixels and convert it into a number to help the physician with the diagnosis. They even go further, saying that it could be possible that radiologists will no longer need to look at the images, but instead analyze the outcomes of the algorithms that will inevitably study and remember more images than they could in a lifetime. This would undoubtedly impact the role of radiologists, their education and required skillset. Saving time, money and energy using big data analytics for healthcare is necessary. What if we told you that over the course of 3 years, one woman visited the ER more than 900 times? That situation is a reality in Oakland, California, where a woman who suffers from mental illness and substance abuse went to a variety of local hospitals on an almost daily basis. In order to prevent future situations like this from happening, Alameda county hospitals came together to create a program called PreManage ED, which shares patient records between emergency departments. This is another great example where the application of healthcare analytics is useful and needed. In the past, hospitals without PreManage ED would repeat tests over and over, and even if they could see that a test had been done at another hospital, they would have to go old school and request or send a long fax just to get the information they needed. This healthcare dashboard provides you with the overview needed as a hospital director or as a facility manager. Gathering in one central point all the data on every division of the hospital, the attendance, its nature, the costs incurred, etc., you have the big picture of your facility, which will be of a great help to run it smoothly. You can see here the most important metrics concerning various aspects: the number of patients that were welcomed in your facility, how long they stayed and where, how much it cost to treat them, and the average waiting time in emergency rooms. Such a holistic view helps top-management identify potential bottlenecks, spot trends and patterns over time, and in general assess the situation. This is key in order to make better-informed decisions that will improve the overall operations performance, with the goal of treating patients better and having the right staffing resources. These 12 examples of big data in healthcare prove that the development of medical applications of data should be the apple in the eye of data science, as they have the potential to save money and most importantly, people’s lives. Already today it allows for early identification of illnesses of individual patients and socioeconomic groups and taking preventive actions because, as we all know, prevention is better than cure. To onboard the data analytics train and start building your own healthcare reports, you should give our 14-day free trial a go!